Our staff has the experience with the major brands such as Cat, Hitachi, Komatsu, Kobelco, John Deere, Case, Tadano, Terex, Grove, Ingersoll-Rand, and many more. 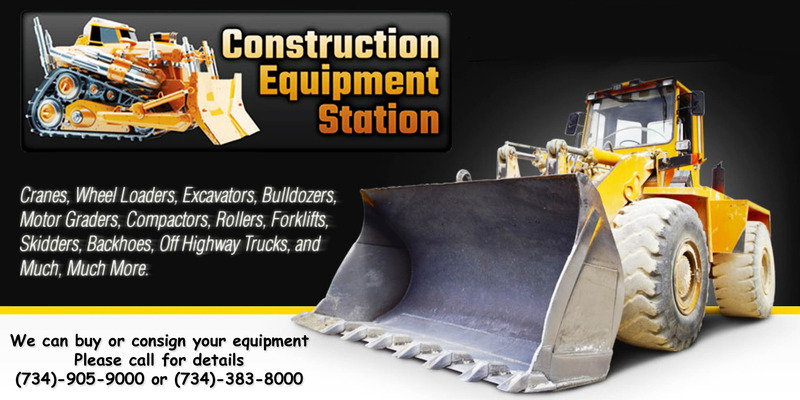 Our aim is to supply machines that will handle the smallest jobs to the biggest projects.Most of our equipment is offered at wholesale prices from cranes, wheel loaders, excavators, bulldozers, motor graders, compactors, rollers, forklifts, skidders, backhoes, off highway trucks, and much much more.Construction Station has been in the business since 2005 and we continue to pledge to be most honest and reliable machinery exporters in the world. Our company is a family owned business and we do what it takes to earn our customers trust. We gained a very strong customer base by always following through with our customers from inspections to dismantling or containerizing to ocean and land freight.We also supply earth moving equipment for our customer even if it is not available at one of our yards we work with many suppliers and contractors to source the equipment our customers demand. We buy sell and broker equipment nationwide. Equipment on our website maybe located outside of Michigan.